Rillito Park Racetrack has a rich in history with a five-eighths mile horse racing in Tucson AZ. Rillito Park is the birth place of Quarter-horse racing and the photo finish. The track offers Quarter-horse and Thoroughbred racing. On rare occasions Arabian horse racing is there. In 1941, Southern Arizona Horse Breeders Association (SAHBA) pioneered Quarter-horse racing in Tucson. Over 40 years later, Rillito Race Track was designated as a National Historic Landmark 1988. Rillito Park was recognized by the American Quarter horse Association’s – American Quarter – horse Foundation as a Historical Marker in 1996. Watch the excitement on the video below. Rillito is located on the banks of the Rillito River. Majestic Santa Catalina Mountain views are the backdrop from the grand stands. 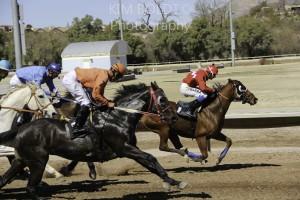 Horse racing at Rillito Park typically begins in early February and runs until the end of March. Racing is on Saturday and Sunday and the Gates open at 11:00 AM. The first post time is 1:00 PM. World famous sprinters such as Shue Fly, Joe Reed II, Piggin String, Hard Twist, Queenie, and Miss Panama all ran at Rillito Park. Famed Kentucky Derby winning trainer, Bob Baffert’s grew up on an Arizona cattle ranch about 60 miles south of Tucson near the Mexican border. He pursued his dream of becoming a jockey. The Rillito Park Racetrack offers parimutuel betting on the 8 or 9 live races each weekend day. There is stadium and clubhouse seating along with a restaurant and bar. Children under 12 are admitted free to both the clubhouse and grandstand. Parking is free and valet parking is available. You can reserve window seating overlooking the racetrack for an addition cost. Considering a move to Tucson OR just looking for a winter get away? We can help!